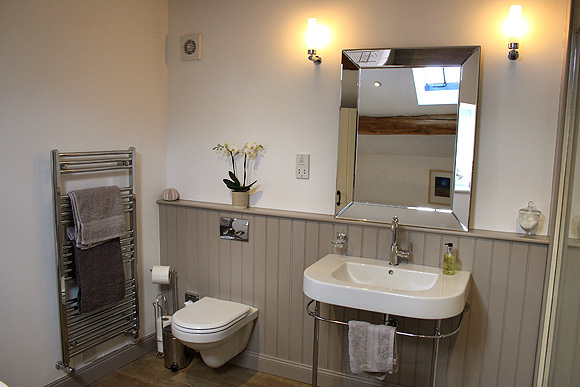 The perfect bolthole: tucked away at the end of our 17th century farmhouse, Hayloft is a special place to stay and combines the privacy of your own place with the best features of a B & B. For your first morning here we supply all the simple breakfast bits and pieces you’ll need to enjoy a relaxed breakfast in Hayloft’s little kitchen or your own sunny garden. 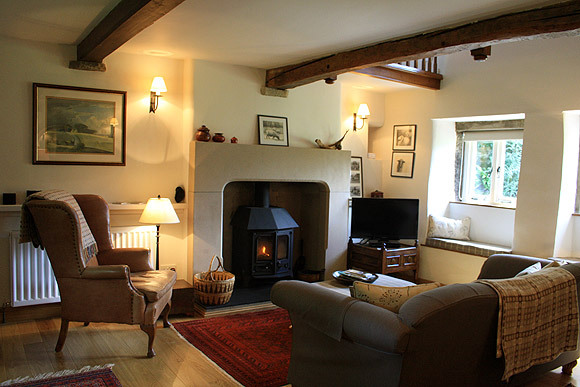 Hayloft has a spacious living room with dining table, large sofa and a full bookcase for cosy evenings in front of the large wood burning stove. The curved oak staircase takes you up to the mezzanine bedroom and spacious bathroom with walk-in shower and deep bath. 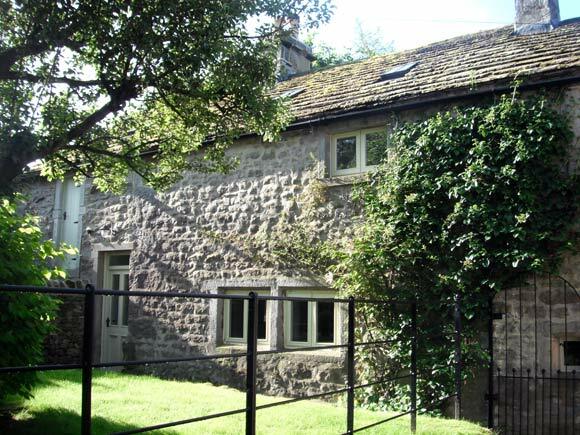 Hayloft was originally the old hay store of this traditional Yorkshire farmhouse. The hay has long gone and you will now find this guest annex a memorable place to stay. Tucked away in the quiet hamlet of Hole Bottom, there’s a footpath outside the garden gate and the village of Hebden with its pub and café only a 10 minute walk away. 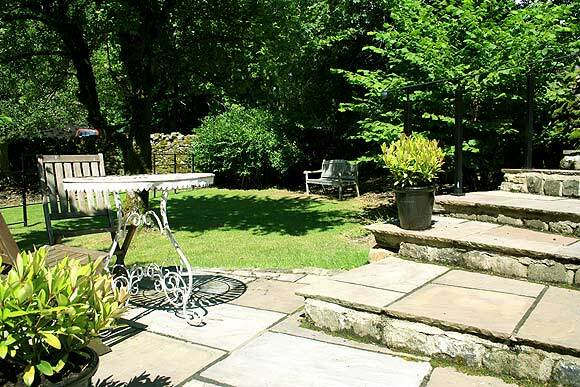 The larger village of Grassington is 5 minutes away by car or a beautiful 40 minute walk over the hills and has a choice of places to shop and eat. 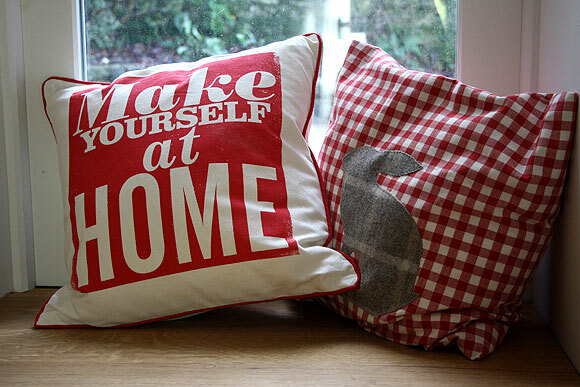 Arrival days normally Friday, Saturday or Monday – but please enquire. Hayloft is for 2 non-smoking adults only. Regret no pets allowed. Wood burner – 2 large baskets of logs and kindling supplied. After that its £10 per wheelbarrow. "We’ve had a wonderful time here – the place is perfect and we’ve had a great time exploring the local walks and pubs. Lunch at the Old School House in Hebden was particularly good…. " 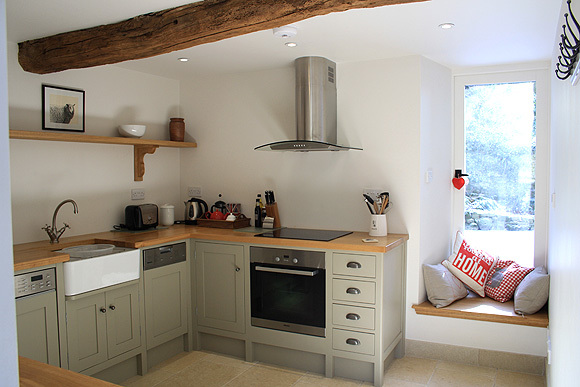 "The Hayloft: so sympathetically renovated with a beautiful interior. Fabulous relaxing evenings spent in front of the fire and long wintery walks without having to get into the car. Above all, spotlessly clean and a warm welcome from Fiona. What a delight. " 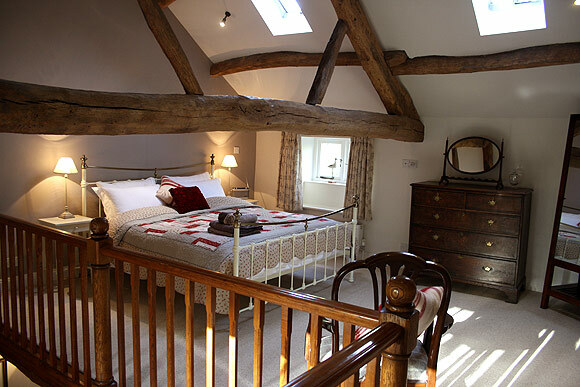 "The Hayloft is pure luxury in every detail, but beautifully cosy and comfortable. We love this tiny hamlet, the scenery is magnificent. We would be quite comfortable to stay much, much longer. Thank you Fiona and family for making such a lovely place to be and adding to our memorable wedding and honeymoon." 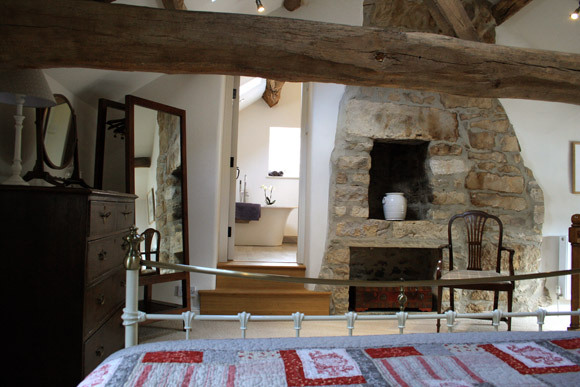 "We would like to thank you Fiona for a beautiful stay in the gorgeous Hayloft. Beautiful to wake up to autumn colours and sounds each morning as we lit the fire and enjoyed a Yorkshire brew! The Hayloft absolutely completed our wedding and we will remember it with the fondest of memories."